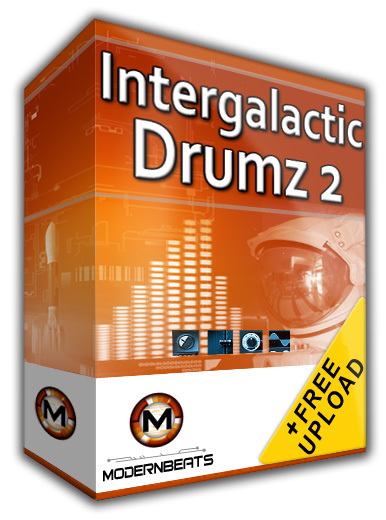 Download Intergalactic Dubstep Drumz 2 - Back by demand, ModernBeats releases this commanding dubstep drum library sequel! Volume Two comes loaded with 72 more stellar dubstep kicks, 60 neo dance snares, & 60 astro percussion sounds! Whether you're searching for futuristic club, dubstep pop, or electro-hop drums, Intergalactic Dubstep Drumz 2 delivers the goods! Download the complete Intergalactic Drumz Collection (Sets 1 & 2) for all 144 stellar kicks, 120 space-age snares, & 120 sound fx percussion samples - and your on your way to another galaxy far, far away.